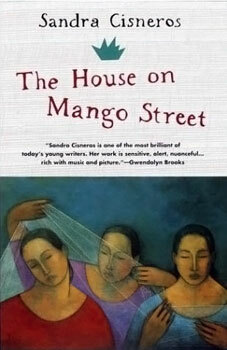 Sometimes heartbreaking, sometimes deeply joyous, The House on Mango Street tells the story of Esperanza Cordero, whose neighborhood is one of harsh realities and harsh beauty. Esperanza doesn’t want to belong- not to her rundown neighborhood, and not to the low expectations the world has for her. Esperanza’s story is that of a young girl coming into her power, and inventing for herself what she will become. 1751, “decorative design,” originally a design in the form of vine tendrils around the borders of a book page, especially a picture page, from Fr. vignette, from O.Fr., dim. of vigne “vineyard” (see vine). Sense transferred from the border to the picture itself, then (1853) to a type of small photographic portrait with blurred edges very popular mid-19c. Meaning “literary sketch” is first recorded 1880, probably from the photographic sense. I like the “photographic portrait with blurred edges.” That’s honestly the best way to describe Sandra Cisneros’s writing style. Each chapter is like a still in a movie… but the blurred edges make it more natural somehow. Even though you can picture it perfectly in your head, you still have the freedom to picture it in your own way. No one will imagine it the same. The main picture will be the same- but each person’s edges will be different. I would definitely recommend this book- just because it’s so different from anything else I’ve ever read. This author has an amazing ability to write! Honestly, almost every other sentence has a simile in it. Or a metaphor. Or personification. Sandra Cisneros’s ability to use language is unbelievable. Her voice and style and writing just flows so well… so naturally. Read it. If you’ve already read it, read it again. You’ll notice things you hadn’t noticed before. School has started, so I won’t be updating as frequently as I would like to. But I’m still going to try! Anyway, I love the garden. 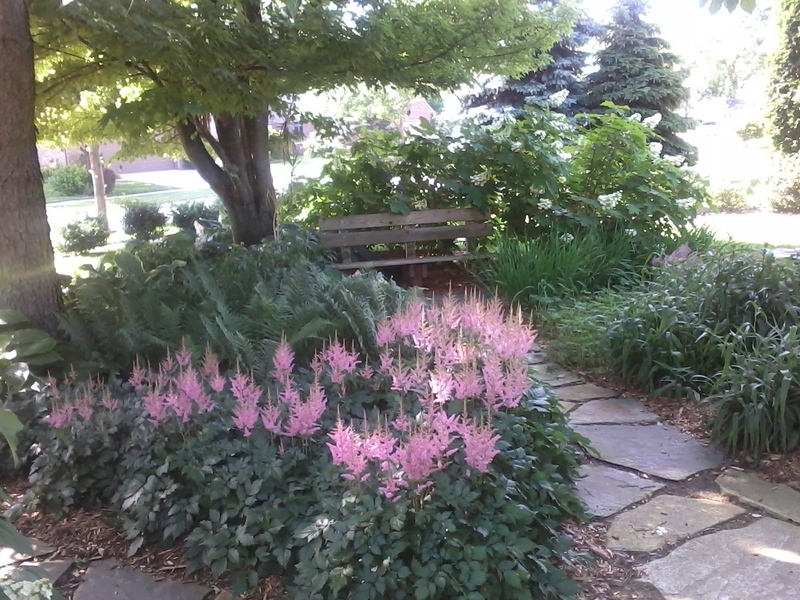 My mom is an avid gardener, so our yard is lush and green and blooming during the spring and summer. It’s beautiful. It’s also wonderful to sit outside with my laptop and work on my manuscript. (The best part is when the internet is too slow or doesn’t work, because then I have nothing to distract me.) I even do my homework outside sometimes. And when I sit out in the garden, it’s sort of like taking a break from life- I can get away from all the hustle and bustle of life, and all the stress from school… and I can concentrate on simple things. Sometimes life is way too complicated… and you just need to stop for a moment and smell the flowers (yeah, I know that was really cliche). I like this poem so much because there’s a lot of truth in just a few words. It’s about taking action. No matter what the situation is, just sitting there and thinking about what you should do isn’t going to help. Worse is looking back on something and wishing and wishing and wishing that you had done something differently. You may have heard a lot about acceptance. You know, that you should learn to accept things for the way they are… and that’s true. To a certain extent. The thing is, you need to be able to accept things, but you also need to know when it is in your power to change things. If something’s happening, and you don’t like it, don’t complain to all your friends and family about how terrible it is- do something about it! Complaining will solve nothing… knowing what to do will solve nothing, if you don’t put that knowledge to use! Don’t let those fools fool you. Because there will be people who will tell you flat–out that you can’t. And it’s your job not to listen to them and keep trying anyway. Dream, because if you dream, you have something to shoot for. But don’t forget to shoot as well as dream, because if you only dream and don’t do, nothing will happen. Dreams are the moon and actions are rockets. My dream is to get my book published and become an author… and you know what? It’s going to happen. Because I’m going to make it happen. No matter what anyone says.